- Liase with Brokers and Insurers on matters involving claims negotiation and settlement. - Assist the department on day-to-day tasks at and when required. - Candidate must possess at least a Bachelor’s Degree or Professional Degree in Business Studies/Administration/Management, or equivalent. - At least 2 year(s) of relevant working experience is required for this position. 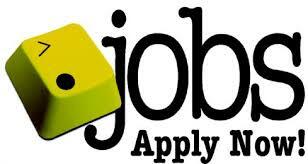 - Excellent interpersonal & communication skills, customer-oriented and able to work in a team. - Computer literate and familiar with Microsoft Office 2010.